New year and you are looking for a new job in 2015? Here are some top tips to help you achieve your goal this year! I flick through hundreds of CVs everyday and based on that, think as if you were the recruiter. What would you like to read if you were hiring someone? Most vacancies receive hundreds of applications and we are talking an average of a 100! As you can see, the short-listing process is a very time consuming one. Learn about the company you are applying for, what is their environment like, cause, culture and how you can fit in. Follow them on LinkedIn, check for news and updates by googling it. What are their 2015 objectives? How would you help them achieve it? 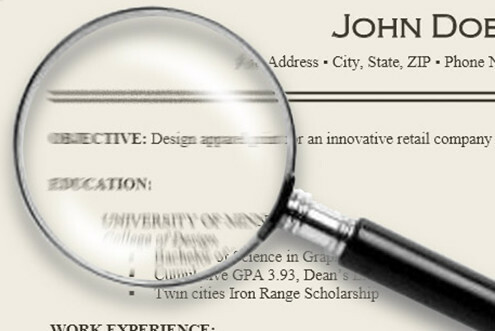 This will help you find the right focus when writing your cover letter. To ensure you are noted they need to see an extra ‘something’ in your application. Don’t be tempted to use exactly the same template over and over, especially if it only says ‘Dear Sir/Madam, I am applying for the role of …. Please find my CV attached. Kind regards, XXXX’. This is your golden opportunity to let them have a ‘taster’ of who you are, your personality and professionalism. Make them want to meet you instead of the other 100 CVs. Make sure to take your time and tailor your cover letter each time you apply for a new role. The cover letter has a key role to ensure your CV is noted even if you don’t have the best one! Address the cover letter to the right person, meaning, find out who will read it in the first instance. When you are applying for a role, the advert normally states the recruiter or manager’s name. Even if it doesn’t, do your research. Nowadays, you have several tools you can use to find that out such as LinkedIn, Google, company page or simply call them. Do you know anyone that works there or know someone that has a contact there? If so, ask to be introduced! Make sure you address it directly to them. This will show an extra level of effort and that you are really interested in the role. Give them a good reason why you chose them. Explain what makes them interesting to you. Do you follow their updates and news? Is it their brand and/or cause that appeals to you? Show them the knowledge you have about the company. Take this chance to explain why the role is appealing to you. When you make them feel special, they’ll see you as a special candidate. #5 Why should they choose you? Explain why you are the right person for the role. – Link those to your professional experience supported by examples of achievements that relate to each. Avoid clichés. If you want to say something like ‘hard working’, ‘reliable’ or ‘team player’, instead, describe a professional situation that will imply these qualities. Keep it simple and concise. Don’t expand too much, your cover letter shouldn’t be too long – no more than a page or 2. #6 Error free covering letter is the key! Attention to detail. This may sound obvious, but it is so common to see the statement ‘I have good attention to detail’ and right on the first paragraph there is a typo or a grammar mistake. Show you are really interested: make sure you read and follow the application instructions – all of them. There is nothing more off putting then having an application from someone that didn’t bother reading it thoroughly. Besides, this could mean the make or break for you – chances are, you will be automatically rejected on the basis that you didn’t read or follow an important requirement or instruction. Make sure you ‘end’ your covering letter with well wishes and that you appreciate their time reading your application by thanking them. Using your own words, wish them well with the short-listing – good manners are well perceived anywhere. In summary, if you are writing a cover letter, make it extra special!